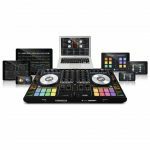 Native Instruments today announced the new Maschine Jam controller. Now we all know the Pad / Grid controller market has a few offerings, however the guys at Native want you to use their Maschine Software in a new way. The Jam has an 8×8 grid matrix of multi colour pads plus 8 touch strips which can perform a few different functions including channel volume and effects. It includes the full version of Maschine 2.5 software which comes with 22GB of content, the Maschine Jam also works seamlessly with other DAWS, Komplete and NKS-Ready plugins. 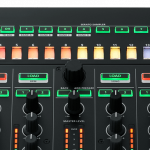 Also included is Komplete 11 Select, with drum synths and over 9Gb of sounds with a street value of £150!